Recently, Bottomline Technologies announced an Integrated Solution for End-to-End Purchase-to-Pay Automation. Bottomline has been in the Electronic Invoicing Presentment and Payment (EIPP) (also called e-invoicing) market for number of years, have supplied solutions to many organisations across Europe and North America. What is so special about, Sprinter? Its claimed to be a modular solution that streamlines Purchase-to-Pay processes through a combination of integrated invoice data capture services and innovative software for purchasing and requisition management, invoice workflow and supplier collaboration. Lot of keywords, but what does this mean to the layman? It integrates seamlessly with existing Enterprise Resource Planning (ERP) systems – A must, but what about accounting systems? This suggests that the solution is aimed at larger companies as usual. It integrates with Bottomline’s market-leading payments platforms – a positive, given that HSBC and other promotes Bottomlines BACSTEL-IP solutions – there is also possibility that even ebdex can integrates this solution into our ebdex Document Exchange – from my point of view, ebdex is very happy to work with our competitors. We tend to look at them as partners! More to come on this point later. Is it as flexible and cost-effective as they claim? – I do not have figures to comment on this? Pay-as-you-go transaction pricing model – Positive move. Need to further obtain information on validity of this statement – need to understand hidden costs. Bottomline Transaction Centers enables businesses to transform paper invoices into clean electronic data files – Version One and number of others can do this. Use of Centres make the operation very cost effective. I have also been thinking about this, hence my discussions with Version One. A positive move! 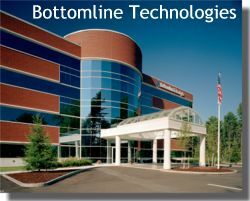 Wouldn’t it be nice to see some comments from Bottomline Technologies? Next Post Infor to acquire SSA Global – Threat to SAP and Oracle?